My question today is; What is the general vibes out there for our industry about how this years election can or could effect our economy in the next four years In 2012 I sold my cnc router based on the facts that things were not getting better here in Florida and the jobs were thin. I have had one of the best years in business in the last twelve month's and I am considering purchasing another cnc. I am just not sure what to think about the future and should I take the risk of hoping that the work will continue. I miss the cnc in the shop for sure and I would like to see another one on the floor but am having some concerns about diving in again. It is all about having enough work to support the payments and hopefully improving the work flow in the shop again. Just looking for some good old fashion advise from the players in the game! Since we are getting towards the end of the business cycle you may want to hold off for a few years. This site is useful for looking at demographics. I bought mine going into the recession in 08. turned out to be the smartest thing i could have done. And I know a person who bought theirs at the same time, against my advise, and were bankrupt less than a year later. After being in business for decades. It is worth mentioning that his machine was probably around 150k and he was a small shop with 4 people. Predictions are hard to make especially about the future. The best indicator I have seen is to know the demographics and projections for the demographics for your area. I'm not doom and gloom on the future, I get criticized for being too optimistic. But the economy grows in cycles. Construction is a leading economic indicator. You will have the wind at your back at the beginning of the cycle and head winds at the end of the cycle.We are in the later sages of this cycle. OTOH I hear that they are selling the new 80k cnc routers like crazy along with cabinet vision. What ends a business cycle is over-investment, usually because of cheap money, i.e. low interest rates. You may want to wait a few years. You may want to study up on the demographics of your market. Definitely go for it. Elections have nothing to do with your business. Demographics have very indirect effects on your business. All that matters is your balance sheet. If it's in good shape, buy it. Notice how this graph has a dip in 2007? I guess it is just coincidence? People sometimes confuse opinions with facts. Down her on the East coast of Florida I have witnessed people paying 9Mill for a home, bought the lot next door for God knows what, tore it down and spent 30Million on a new home! I was a part of that with seven custom closets. There is allot of money down here for sure. As far as demographics go I am not sure what Pat is asking to focus on. I would like some input on that. I know this, I had a machine, I learned how to use it, saw the benefits of using one and chose to sell because of lack of work for the shop. I am convinced I think if the work flow is there the machine would pay for itself over time. The key is to get the SALES to support the investment. I work by myself and have really good outside installers to help with that. I get challenged with time sometimes when things are rocking. I really appreciate all the feedback I can get on this. I feel that a productive CNC can be very helpful as long as the work is there! It is a known and accepted fact that people buy certain things at a certain age. IMO people buy entertainment centers in their 30s. They also buy them when they are moving into a house or shortly after they move in. Then it is a question of if your market will be growing or not. If you are trying to take market share from existing shops that is going to be tough sledding. 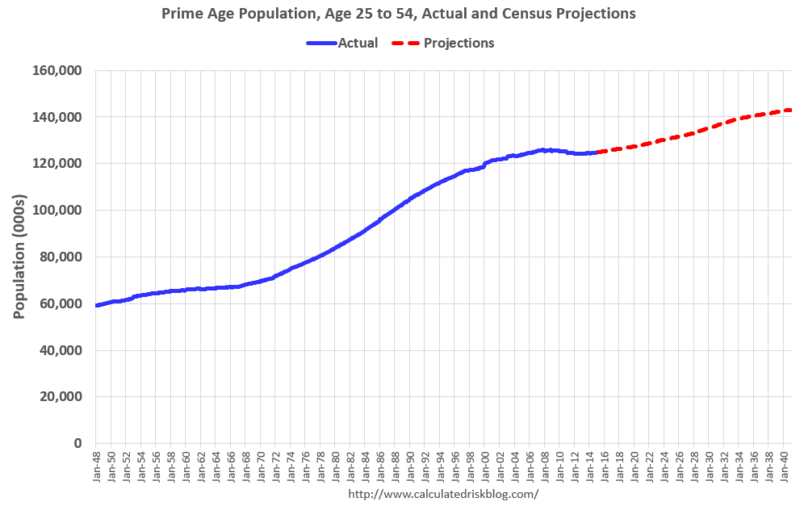 If the market is expanding because of an increase in population in the age group you are targeting it will be much easier. I think of Fla as a retirement area. I would guess that the retirees are increasing in the Fla area because of the baby boom. You should study the data to figure out if your niche is growing or not. It is a known and accepted fact that real estate prices always go up. Hmmm.. Demographics don't matter to the OP. The time to consider demographics is when you are choosing which business to get into. OP has already made that choice. Now he needs to be the most competitive he can in his chosen market. Owning a CNC has been a no brainer decision for a long time. Doesn't need to be $150k. I own a basic $20k system and it makes me lots of money. IWF is just around the corner.. the maker of my machines has some new heavier models with rotary atc that are gonna be a price winner. I have zeroed in on a 5'X10" 16HP HSD spindle, with Drill Bank with an 8 tool carry on tool changer. 12" of Z with Oasai Open controller. Total investment of $53K. The machine is perfect for what I am doing with Cabinetry and Stair parts. The key to all this is the "SALES". I know getting back in this is a risk but I am leaning toward making the purchase and becoming a better Marketer for my business! "The key to all this is the "SALES". There you go, you answered your question. You never mentioned the machine or price of the machine. Obviously there is a huge range. I was taught to purchase machines that are capable of 95% of what you need in the near future. Typically the last 5% can be done without the cnc or you can outsource it to another shop. That can help keep the cost down. In the future if things continue to go well you can always upscale when you need more capacity, etc. We have all seen somebody borrow a pile of money, buy the latest greatest behemoth of a machine only to be out of business within 12 months. Regardless of what people like Pat show us, I still believe that many of the markets in the US are still localized. The people who have money either have it or have more of it. We have always worked primarily in that market for the reason that it is more or less recession proof. Every person on Woodweb have many different variables in their businesses, locals, and lives. It can't be put in a couple of graphs or powerpoint slides. Just as is the case with an employee... Do you have enough capital reserves (3-6 months) to cover payments if the CNC does bring in enough business to support it? Lets imagine all the wonderful things this CNC machine could do for you arrived at your doorstep for a cost of absolutely free. What would be your other bottlenecks look like? The CNC will surely solve some problems and this is a plus. It will, however, also bring along some costs that don't currently exist, like the employee you can't lay off that KAP speaks of. What happens to product in your shop after the CNC part is done? Which processes does it streamline for you? How long does it take to get a customer through the cycle of decision making? It seems to me that you can usually solve more production problems with the right sales system than you can with the right production system. Every single dime you make is earned on Sale day. After that it's just triage. All you can hope for is to stop the bleeding as soon as possible. What kind of return would you get from a similar monthly expenditure in website development. It is obvious that you do very good work but your photography does not necessary sing about this. What do you think is more important to your (prospective) customer? Your pictures or your CNC machine? If your apprehension is that the last time the numbers did not work would it not make more sense to pay more attention to getting the right product sold rather than building it the right way? I would like to say thank you for all the common sense responses to my concerns. I appreciate all the feed back for sure! I have the rest of the weekend to make my final decision. I tend to run against the grain on this one. I don't think EVERY shop needs a CNC to be profitable. There is a substantial learning curve in CNC's for it to be done well. Programming, production management, and information management all play a role. Then there is the cost of tooling, dust collection, and a rise in utility costs. And as Pat said above, for any shop, the success or failure of the decision largely weighs on ability to sell what you can make after said learning curve. Why burden your firm with overhead you may or may not need as time passes? My advise would be to look for a local shop with a heavy weight CNC AND production systems behind them that you can partner up with and outsource work to. At least until you have the real volume to handle the true expenses of a CNC. Save the difference until you're 100% sure, and you'll have the money to pay for at least half of one upfront, allowing you to sleep better at night. This is by no means a sales pitch, but we are in the final process of putting together a product line for other cabinetmakers. We will be offering cabinet boxes, machined and flat packed or assembled to the Atlanta area market. Maybe you can find someone in your area that can do the same. If you are operating as a one man show, the burden of a CNC may be too much. Outsourcing works for many small shops. That said there are several 2 & 3 man shops in our area running CNC and wouldn't be without. If you can get the work, add some help to help cover the costs of a CNC. Dennis, not to side track this thread but you have mentioned several times that SALES is the biggest problem. What are you going to change there to get more sales? You should be looking at the CNC after you have the sales and income to justify one. Having the costs go high before you have the sales is backwards. You need to find the sales and sales pipeline to justify the purchase. So, what are you doing to get and increase the sales? Any of us here and many that are not here can make cabinets and closets. What sets the ones that are still here is that they have learned how to get the sales and the sales pipeline going. That is a lot more important than buying a CNC. Thank you all again for all your feedback on the CNC purchase. I have decided to wait on this until I can get more jobs in the shop and get some kind of back log of work. I am totally convinced that having a CNC is worth the investment as long as you have the sales to back it up. Like I said before I already had one and the reason why I sold it was not the payments because I had none but it was walking out in the shop and seeing the machine sitting there because of the economy and of course lack of sales from a bad economy. Now when I build jobs I really see the benefit that a CNC can give you in the shop. It starts with wrestling the sheets on the slider, then the dadoes, then all the shelf holes, etc., verses dropping a sheet on the table and removing all the finished parts with all those operations completed ready for assembly! I will get another one when the timing is right! Thanks again to all of your for pitching in on the post! I would like to repeat an earlier sentiment. Almost all sales to end users start with photography. As soon as a prospective customer hears about you they are on the web in a nanosecond to see what your work looks like. You should start with a table saw. Your second purchase should be a camera. You can use a jackplane or buy S4S lumber till the sales start rolling in. A mid-level CNC is a must for small shops these days. We are three in our shop and even time saved making jigs and forms adds to a few payments on the CNC. I don't think elections matter for our business in general, but this one might. If we end up with the art of the deal, we are in for a prolonged period of internal and external conflict and chaos. That's not good for any economy.